According to CNN, countless nightclubs in Lagos and you’re bound to find yourself immersed in a sonic journey of pulsating beats, groovy samples and hip-hop kicks. In a megacity where everybody loves to dance, the tone is set by the infectious sounds of Afrobeats — a growing music movement that’s struck a chord with youth in West Africa and outside the continent. Although its name sounds similar to Afrobeat – the eclectic mix of traditional and contemporary sounds pioneered by firebrand multi-instrumentalist Fela Kuti — Afrobeats is a new genre on the Anglophone West African music scene. Back in late 1960s, Kuti, one of Africa’s biggest music stars, used his electrifying grooves and sharp-tongued lyrics as a political vehicle to oppose Nigeria’s military governments. Afrobeats, however, tends to steer clear from politics. Its mission, says well-known Nigerian music promoter Cecil Hammond, is to make people forget their everyday troubles and have a good time. Cecil Hammond says that Nigerian music today has changed a lot since the days of Kuti, who died in August 1997. “Nigerian artists don’t really want to get into politics,” says Hammond. “They tend to stay far away from it because at the end of the day, you have different political parties, you don’t want anyone to say you belong to this party or that party. Musically, however, the influence of Kuti is clearly evident on the new generation of Afrobeats artists. DJ Abrantee, a UK-based Afrobeats champion, says the new sounds derive from Afrobeat, having evolved over the years with various Afrobeats musicians experimenting to suit their individual styles. But who are some of the hottest names making strides in the Afrobeats scene? Here, Abrantee picks five stars whose are breaking through commercially on the world stage. “WizKid is without a shadow of doubt on the verge of a worldwide explosion,” declares Abrantee, who describes the Nigerian Afrobeats singer as a “young talented guy who not only sings but pens some of the most musically catchy hooks in that genre.” WizKid was recently signed by UK star Tinie Tempah’s management company. 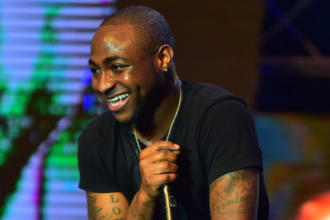 The Nigerian rapper is at the forefront of the Afrobeats scene, having enjoyed big international success with “Oliver Twist,” a global hit that made it to the Top 10 in UK charts. Abrantee says “his music is infectious, fun, dynamic and appeals to the masses.” In recent years, D’Banj has won several prestigious awards, including the Best African Act at the 2012 MOBO Awards. Nigerian May7ven is a UK-based Afrobeats artist and singer-songwriter who is well known for her dancing. “Her bold and catchy anthems in a predominately male-dominated industry have been leading the way and carrying the international flag for the ladies in Afrobeats,” says Abrantee. The Ghanaian artist, also known as “the talking drum,” has had success with “The Thing,” a massive hit on dance floors in Africa and beyond. “The dexterity and distinctness of his soulful voice complements his records and puts him in a firm position to have a long lasting career,” says Abrantee. R2Bees is a super group featuring Ghanaian artists Paedae and Mugeez, produced by Killbeats, who is responsible for some of the biggest hits coming out of the West African country. Abrantee says they are the “Afrobeats group to watch” in 2013, pointing to the anticipated release of their new single featuring UK star Tinchy Stryder.